Home Buzz Kim Kardashian West is buying her daughter a private island in Australia. Kim Kardashian West is buying her daughter a private island in Australia. 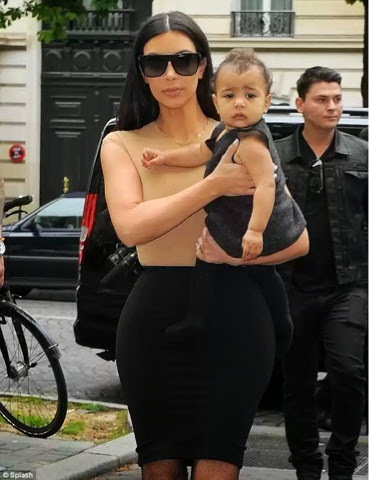 The 'Keeping Up with the Kardashians' star - who has 16-month-old daughter North, is reportedly in negotiations to buy $5 million Turtle Island, which is situated off the coast of Queensland, and plans to rename it Isle Kardashian. According to Australia's New Idea magazine, Kim wants to build an amusement park for her daughter on the island, which boasts stunning views of the Great Barrier Reef. Coldwell Banker's Richard Vanhoff is managing the sale of the island, and confirmed he has been negotiating with a "high-profile person", but wouldn't reveal their identity. He said: "I can clearly say that I am in negotiations with an overseas party. The overseas party is a high profile person but I cannot name names. "I can't confirm whether it's Kanye West or Kim Kardashian or President Obama." However, he did admit he had been contacted directly by the potential buyer, who had visited the island last week. The 9.41 hectare private island boasts tropical gardens, a four-bedroom mansion, a jetty and a helipad.